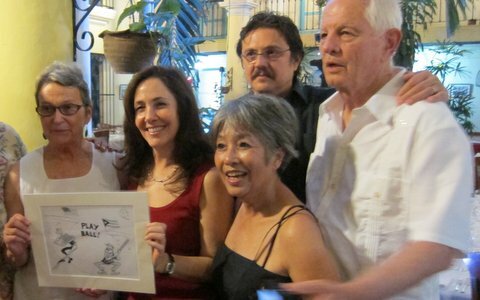 The above photo shows Cuban gay rights advocate Mariella Castro and her husband accepting Berkeley cartoonist Khalil Bendib’s “Play Ball” cartoon from Berkeley Mayor Tom Bates, State Senator Loni Hancock and Green Cities co-founder Tran Tuong Nhu at a December, 2012 “Planting Seeds” dinner in Havana. Green Cities Fund founders have a 20 year history of working with humanitarian organizations in Cuba and the United States in areas such as education, green ecology, history and architecture, art, music, dance, religion and Sister City programs. These organizations include EcoCuba, specializing in environmental tours and research; Tsukimi Kai, an intergenerational group of predominately Nikkei artists, performers, educators, and scholars who share the goal of exploring and celebrating the parallel histories of Japanese Cubans and Japanese Americans; Antonio Nunez Jimenez Foundation ( the environment); Ludwig Foundation (Culture); Group for the Comprehensive Development of the City (Urban Planning); Martin Luther King, Jr. Center (Religious/Community projects); Belen Catholic Church Project in Old Havana; Jewish Community Center; Muraleando Community Art Project; Send A Piana to Havana; Sister Cities Program, UC Berkeley “Dialogue with Cuba”, Haas School of Business Cuba Programs, Global Exchange and Colmenita Children’s Theater. As part of this work, Green Cities Fund encourages and assists U.S. citizens wishing to contribute to the work of these and other humanitarian organizations through participation and donations. 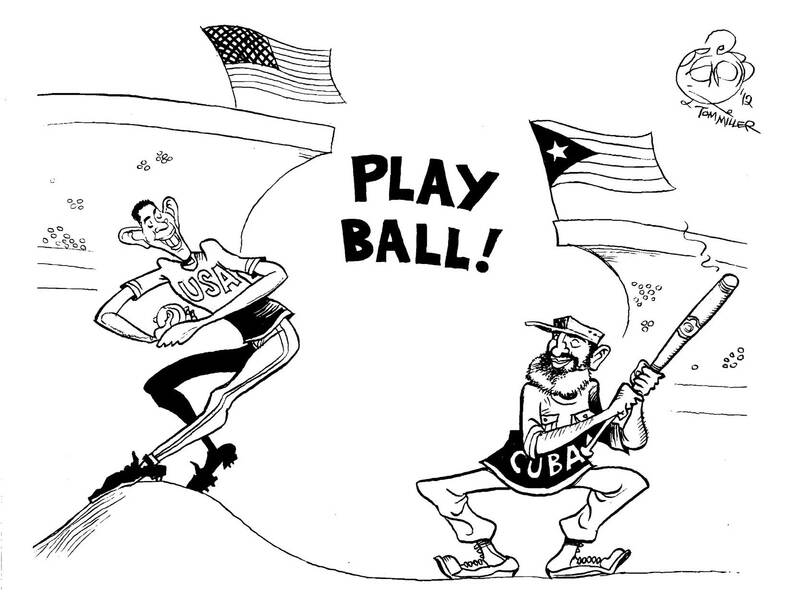 GCF President, Tom Miller, has also provided, pro bono, legal assistance to scores of U.S. citizens subjected to the draconian U.S. laws banning the exercise of their Constitutional right to travel freely all over this world, and especially to Cuba. The “Planting Seeds” project to encourage permaculture, sustainable farming and a healthy diet.